Had someone asked me the question a year ago, I would have lied. A downright, bald-faced lie. I’m not proud of it, let me assure you, yet the truthful answer was almost too much to bear: “Oh, Sundays, and apart from that, pretty much never.” The shame was soul-searing. I was horrified to admit my time spent studying the Word of God was negligible at best, non-existent at worst. We are blessed with an abundance of options for accessing Scripture. A host of electronic, audio, and print versions all widely available. Walking into any Christian bookstore we can flip through pages of pristine Bibles in every size, color, language, and translation—online shopping enhancing the selection one hundred fold. To say we have the Bible at our very fingertips is no understatement. Yet if, as research suggests, less than twenty percent of Christians open their Bible on a regular, almost daily basis, eight out of every ten believers are not consistently reading Scripture. I have been a reluctant member of that majority group for most of my Christian life. Several months ago, I was inspired by one of my favorite Christian authors, via Instagram, to read the Bible every day. Updating my settings to receive a daily Bible verse on my phone, I planned to create an accompanying image to share every day on social media. My self-satisfaction was palpable. I grimaced. Young women moved through the audience, handing us each our own tiny sponge. Turning it over in my fingers, I knew I needed a change. I wasn’t retaining the snippets of Scripture flashing across my phone every morning and I wasn’t growing in my knowledge of God, apart from what I heard from my pew each Sunday morning. Instead, I was nibbling at the crumbs of a meager Scriptural diet hoping, when the world squeezed me dry, something wholesome and spiritual would emerge. I was nibbling at the crumbs of a meager Scriptural diet hoping, when the world squeezed me dry, something wholesome and spiritual would emerge. The following Monday, I started a new, year-long reading plan. Despite my skepticism that I would last even a month, I was determined to try. I knew God wanted me in His Word, and so before anything else in my day—before checking social media, email, text messages, even the weather—I chose to open my Bible and read. For the first week, it was a rote exercise. I trudged through the readings, anxious for any sign of change in my faith. There were none. I continued the second week, fueled by the small yellow sponge sitting on top of my Bible. This time I quietly prayed, “Lord, this feels like drudgery. Please help me love Your Word. Please.” It was the simplest of prayers, yet one I believe God was waiting to hear. As I continued my daily readings, I began to notice themes, repeated words and ideas. Out came my pens and highlighters as I scribbled and drew across the pages of my Bible. 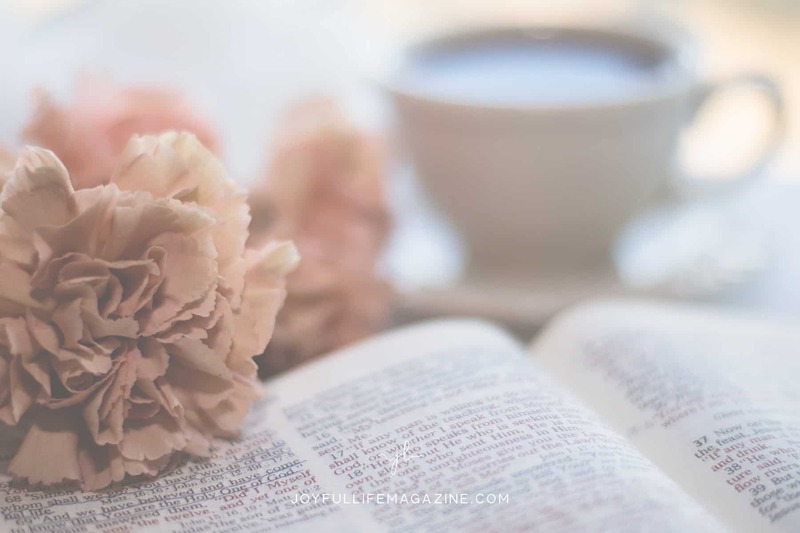 As the Holy Spirit would bring to mind certain ideas and connections, I jotted down observations and verses in my journal. I marveled at the extent of God’s revelation to me in such a short period of time, and realized, belatedly, that all the Holy Spirit needs is an open Bible and a willing spirit to start transforming our hearts. It should be no surprise that developing greater Bible literacy helps us also grow in our understanding of God. An increased knowledge of God enables us to have a more intimate relationship with Him, which in turn, spurs on deeper, more joyful worship. An increased knowledge of God enables us to have a more intimate relationship with Him, which in turn, spurs on deeper, more joyful worship. From its very beginnings as Mosaic Law, the importance of God’s word to us cannot be understated. As his life and leadership neared its close at the end of Deuteronomy, Moses said these words: “Take to heart all the words I have solemnly declared to you this day, so that you may command your children to obey carefully all the words of this law. They are not just idle words for you—they are your life” Deuteronomy 32:46-47 (NIV). Not just idle words. They are our life. As modern Christians, we are often more comfortable in the New Testament, failing to realize the Old Testament fully informs the New. The authors of the New Testament were intimately aware of how everything they were writing was fulfilled revelation of God, the ultimate expression of His faithfulness and covenant love in the life and work of Christ Jesus. Jesus, too, had an intimate knowledge of Scripture. When tempted in the desert by Satan, He referred back to the same words spoken by Moses to the Israelites in the book of Deuteronomy. “It is written: ‘Man shall not live on bread alone, but on every word that comes from the mouth of God’” Matthew 4:4 (NIV). Later, in the gospel of John, Jesus urged believers to remain in Him, and in the words of instruction He has given. “If you abide in my word, you are truly my disciples, and you will know the truth, and the truth will set you free” John 8:31 (NIV). If we consider Scripture the ultimate authority on our lives and the direct revelation of who God is and what He has done in Jesus, we need to be intentional in comprehending, interpreting, and applying God’s Words. They are not just idle Words. They are our very life. They are the catalyst to our worship, our joy, and our thankfulness. 1. Read at the same time every day. Instead of aiming to sit down and spend two hours in the Word, try starting with a more reasonable timeframe you can incorporate into your daily routine. Perhaps it’s ten minutes in the morning with your first cup of coffee, or twenty minutes in the evening as you unwind and prepare for bed. Whenever it is, find something that works for you and try and stick to it. 2. Pray for a hunger and love of God’s Word. If you want to pray a prayer God loves to answer, this is it. Psalm 119, which underscores the joy and beauty of loving the Word of God, is a great place to start. As you note every reference to the Word of God (law, decree, statute, command, precepts, way, promise) keep in mind for the writer of this psalm, every reference to the Law of God was essentially, the Word of God. This was the revelation of God to his people, and the psalmist expressed a true love and devotion to it. “I have chosen the way of faithfulness,” the psalmist writes, “I have set my heart on your laws” Psalm 119:30 (NIV). When we seek a true hunger and love for the Word of God, the Holy Spirit is fueled into action, helping us experience God’s revelation in new and meaningful ways. 3. Read the Bible as a book. How often do you sit down and read sections of your favorite fiction story out of context? One sentence from chapter eleven, one paragraph from chapter three. No one reads a book this way. And yet, this is typically how I’ve approach my reading of Scripture, missing entire sections of the Bible because I did not consider or appreciate it as a complete, self-contained book. Each page of Scripture unveils not only God’s self-revelation but also the beautiful unraveling of the story of redemption. Every line in Scripture points to Jesus. Reading through the Levitical laws, we can see how the offerings, burnt and otherwise, point to the one, perfect sacrifice of Jesus. Examining the minor prophets helps us understand that each anticipates the promised Messiah, as outlined in Genesis 3. Each page of the Old Testament breathes in longing for the arrival of a Savior, and each letter of the New Testament proclaims Him born, crucified, resurrected, and ascended. We must approach the Bible the way we would an anticipated bestseller. That is, to read it as it was intended to be read, in its entirety. As God’s way of saying, This is who I am. This is how I love you. Here is My faithfulness, My patience, My mercy, and My grace. A few months into my own pattern of daily Scripture reading, God encouraged me to create an accountability program to help other believers learn what I was learning. Despite my protests, He wasn’t to be ignored and so, filled with trepidation and fear, I set about following His lead. I could not believe it when over fifty believers eagerly signed up and how God is still using that group today to bless many people, myself included. Developing a daily habit of Bible reading can be a richer experience when you can partner with a friend or small group willing to pray for and support each other’s journeys. Creating a space where each can be vulnerable, share ideas, encourage and build one another up could make all the difference in building your new habit. 5. Put your phone away. Oh, I know, it’s so convenient to have your Bible on your phone! I still have the app myself, so I am not one to judge. However, unless you have laser-trained focus, the phone can often serve as an endless platform for distraction. Most notifications pop up on my screen, and I lack the discipline to ignore them, particularly when they cover the Scripture I’m trying to read. Put the phone away. Lay the weight of the Word in your lap. Satan’s primary purpose is to undermine the work of God. He loves a dusty Bible, ignored on the shelf. It makes him happy to create a wedge of separation between us and our Heavenly Father. As we prepare our hearts and minds for intentional study of Scripture we need to remember, in a very real sense, we are organizing ourselves for battle. The father of lies will want to undermine your commitment to the one and only Truth. He will want to distract and discourage you. He will taunt your commitment, and will gleefully gloat when you miss a day. The first four words that mankind heard from Satan were, “Did God really say…?” Genesis 3:1 (NIV). He is the father of lies, yes, but he’s none too original, repeating the same ones since the garden. When tempted in the desert, Jesus Himself, modeled the best response to Satan’s old, rehearsed lie by repeating the very Words of God. I have been reading Scripture daily for nearly four months now. I am no great scholar, and certainly don’t claim any sort of expert status. However, I can share that in this brief time, my excitement and hunger for God’s word has increased exponentially. I can claim no credit for my own growth or commitment. Instead, I humbly acknowledge it has been the Holy Spirit at work within, spreading me empty and eager before the pages of Scripture, increasing my desire and my joy. The same can be true for all of us, if we truly want it. We have at our fingertips the most lavish, satisfying Bread of Life. So I invite you to dig in, and savor these Words that have the power to change your life just as they have mine. The GATHER Issue | Spring 2019 is now available through The Joyful Life Shop! Order The GATHER Issue today to receive it delivered directly to your mailbox the first week of March! Thelma Nienhuis pours out grace and encouragement for the life that has turned upside down, extending permission and acceptance for those in the midst of the storm. She is a lover of Jesus, coffee, donuts and naps. She lives in Ontario, Canada with her husband, Len, and far too many animals. Read more from Thelma on her blog. Thelma, thank you for speaking to a nudge I’ve been feeling for a long time… NOTHING compares to reading God’s literal word. Trust me, I’ve tried all the other stuff. Ha. But His love and truth found in the Bible are the only things that help me get through the day without drying up. Thanks again, Sister…. so so good! So thankful my words helped draw you to the Word! He will be faithful to keep you well watered and restored! Thank you, Thelma, for reminding me and others where the inheritance of God is found…in His Word, preserved through time so that we may know Him… “Be still and know that I AM…” Don’t stop spurring us on!! Thank you for the encouragement, Sharon! In Him we live and move and have our being! Thank you Thelma for this encouragement. I struggle also with my energy & time and I so want to feed from God’s word. This is where I find Aimee Walker’s studies so valuable for me. Do you suggest beginning your bible reading in the old testament? Susan, thank you for your comment. Personally I have been using a reading plan (found on YouVersion) that has me reading the Old and New Testament in tandem. Thank You for this encouraging truth. We live in a world full of technology, but nothing can compare to a face to Bible undistracted reading of scripture. I have my phone app of You Version because I do enjoy the many Bible reading apps they have to offer, but I have found if I am not studying for myself and finding my own nuggets of God’s truth, it is easy to become complacent in my faith. Hi Thelma, thank you for your honesty and encouragement. Will you please tell me a little more about your ‘Accountability programme’ and how you go about it!